First and foremost, my husband and I understood that sending our allergic child to school was going to be a challenge. It goes without saying that the more allergies your family is dealing with, the more stressful the situation. Lugging that stress around and dumping it in the lap of school staff will not help - not at all. Going into school with the expectation that school staff will do all the heavy lifting is totally unreasonable and downright dangerous. Furthermore, although it is every child's right to have access to a safe learning environment, the laws do not specifically dictate what that safe environment is. However, there are some general guidelines. These guidelines are not detailed in such a way to address specific allergies. So, while most schools strive to be "nut aware" to make sure children with nut allergies are safe, the majority of them are completely unequipped to handle other severe allergies such as dairy, wheat or eggs. The law is there to protect everyone but it is up to us AND everyone else to work together to establish a framework that will work for our child. In summary, yes, the school is legally responsible for keeping our child safe, but, it is our responsibility as parents to ensure that the school understands our specific needs and is capable of meeting them in a way that works for everybody involved. And it is also our responsibility to help when aid is needed. We can wait for school to ask for help but if we offer before they ask, this kind gesture goes a long way towards making this whole experience a positive one. We did not go into this with negative thinking. On the contrary, we thought of it as a challenge, one that can be overcome. My husband and I prefer to think of it as a new experience, something to learn from and expand on. Team effort is key when it comes to keeping any allergic child safe at school. We think positive, expect positive but are prepared for negative in case it happens. We started early. We did not wait until the school year started. September is way too late to plan for anything and incredibly unfair to the school staff. They need time to prepare especially if the allergies in question are ones the school is unfamiliar with. Given that this was our daughter's first year at school, we figured that April was a good time to contact the school. We started at the very top and contacted the principal and vice principal. It's important to give school staff a chance to respond. Sometimes, people are away for various reasons. It could be parental leave or sick leave. It could be a promotion and they are waiting for the new person to be selected. I think a response within a week is reasonable. I've heard from other parents that sometimes staff do not respond. If you hear nothing after a week, attempt another method of communication. Go in and schedule an appointment if possible. Just because you are well versed in the usage of the interwebs (and such technological advances), doesn't mean that everyone else is. Some people get really discombobulated with their email messages and prefer to deal with parents in person. My husband and I recall at the beginning of the school year that staff was very professional but seemed a bit standoffish (or maybe reserved is the right word). In my opinion, it's not personal. I think this is partly due to the fact that many difficult parents have muddied the waters for us allergy folks. It's not unheard of for school staff to get a lot of abuse from parents. They get unreasonable demands from many people on an almost daily basis. Once they warmed up to us and realized that we are not out to sabotage their plan to educate kids, they felt a lot more comfortable. We made sure to involve not only school staff, but also the personnel assigned to the school by our local school board, The Halifax Regional School Board. Their job involves dealing with both school staff and parents. They are the bridge to the communication highway we are trying to build. They cut down on traffic jams (i.e. miscommunication). Ensuring our child's safety also involves knowing what our job is and what other people's jobs are. As a general rule, I do not attempt to take on a job that I am not qualified for. For example, when an allergy parent is met with a skeptical staff member, it's best not to go on a rampage about how serious food allergies are and how it can kill the allergic child. This is completely counter-productive. Instead, I would enlist the help of the Student Services Facilitator and the nurse from the local hospital who liaises with the school board on health issues related to students. In my opinion, the seriousness of allergies sounds a lot more plausible coming from a doctor or nurse particularly to someone who is unfamiliar with anaphylaxis and food allergies in general. Whereas a child's parent may come across as overbearing and overprotective, the objectivity of a certified health professional is usually not in question. Broken Telephone - can you hear me now? Miscommunication is a terrible thing and can sometimes be what ends a very good working relationship. I learned early on that the best way to avoid misunderstandings is to copy all parties involved on my correspondence with regards to allergy related matters. One of the mistakes I made when I first went in to speak to school management was not knowing the resources available to me. Ironically, the person I spoke to seemed equally unaware of the resources available at the time. We both thought we had a very productive meeting. Specifically, we had come up with a plan that involved providing wipes for the classroom or possibly small allergen-free snacks if we could get some funding from the Department of Education. Both of us thought it was a good idea and I agreed to contact the DOE to find out more info. However, my inquiry about funding prompted the DOE to question the methods of the school and instead of contacting me, they involved the school board without my knowledge. Next thing I knew, someone had contacted the person I spoke to at school and suggested that she caused me to become irate and failed to alleviate my fears. I can only imagine what was going through her mind! I was totally unaware of what had happened until she met my husband when he dropped off school papers to ask if I was okay and that she did not realize I was upset. Needless to say, I called her to resolve the issue and explained the misunderstanding. Despite the fact that I reiterated to the DOE that I am not calling to make a complaint, rather to find out about funding capabilities, still, by the time information trickled down to the parties involved, the message was completely garbled. Thankfully, my relationship with the person I spoke to at school is still quite solid. It's never a good idea to start any working relationship on a bad note. The number one mistake many allergy parents make when it comes to school is acting on assumptions, not facts. We do not assume anything. As allergy parents, we've been dealing with allergies for the past few years so we have more experience than school staff. It's naive to assume that they know how to administer epinephrine or how to use an auto-injector. Likewise, we do not assume that they are familiar with terms like "cross contamination" and "anaphylaxis". It's important to have a meeting with the administrative staff as well as the teacher to explain those terms to them. I think it is our responsibility as parents to provide that information to the school staff. It's foolish to just hand them a stack of papers that has info about allergies without conversing about how it affects our child. For someone who does not deal with this on a daily basis, it becomes confusing, overwhelming and frustrating, not to mention frightening. A 30 minute meeting is a good way to explain things in simple terms using examples. Instead of just asking them to avoid cross contamination it's important to provide scenarios where this might happen such as someone touching the door knob with cheese residue on their hands after eating lunch, and how our daughter can have a reaction if she touches the contaminated door knob. That way it is much easier for them to make the connection. Schools use different methods to communicate with parents. Some do mass emails. Some hand out flyers. Other schools send home newsletters with the child. We make sure to read the newsletter when it's distributed. In fact, I make it a habit to open our child's bag every day to see what has been sent. This is also a good way to learn about classroom activities. The newsletter typically includes upcoming celebrations, events and holidays. As much as we'd all like for teachers to know what is going on all the time, our child's teacher is not omniscient. She is human. She will forget to mention things and sometimes those things will fall through the cracks. It does not mean she doesn't care; it is not deliberate. She may have forgotten to mention the dance that is taking place at school next week where food will be served in the gym. But that could be because she has a more pressing concern, such as a classroom activity that involves unsafe items and she is working on trying to figure out a way to make that activity safe for our child. We give the benefit of the doubt especially when it's the first time. On the other hand, a teacher who is constantly forgetting important events that may be unsafe for our child, is something that needs to be addressed at the administrative level. Thankfully, this was not an issue for us. I believe that our child's safety in the classroom all begins and ends with the teacher. Sure, she can get help from others, myself included, but ultimately, it is her decision that will directly impact our child. We keep the lines of communication open with her. We do not second guess every decision she makes. She's been a teacher a lot longer than we have been parents and has experience dealing with children, perhaps not with allergies, but with kids in general. She is trying to make the best of a situation with the tools she's been given, and she's often not given enough (but that's a story for another time). We were truly fortunate. Our daughter's teacher is an excellent one and also a very kind and compassionate person. She often goes above and beyond to make sure our daughter is safe in the classroom. And that is important to understand. The teacher cannot reach beyond the scope of her classroom. She's just not equipped for that. She has a lot to do and a limited amount of time to do it. Her job is to ensure our child is learning effectively in a safe environment inside the classroom during school hours. If an issue is taking place outside of school hours or outside of the classroom, we include the teacher in the communication but the primary meetings often take place with the vice principal. Administrative staff are responsible for what goes on in school during all school hours, including lunch and after school. For example, expecting the classroom teacher to do something about an incident that is happening during EXCEL (the before and after school program) is unreasonable. Her responsibility ends when she hands our child to us at the end of the school day especially if it does not involve her classroom and adjacent areas. We offer to help the teacher whenever we can. It is essential and goes a long way towards making her life a bit easier. We think it's a great idea to become familiar with school property and rules. We make a habit of remembering places like where the gym and library are. School staff usually provide a tour during primary orientation and we took the opportunity to learn where rooms are since we knew we would be frequenting the school. It is also our responsibility to make sure our paperwork is in order. School staff do not like unknown people wandering the halls, justifiably so. My husband and I are totally on board with that. Our daughter's school issues passes so I asked them to provide one for me. Some parents get annoyed when the school asks them to sign in and sign out every time they come in or leave. I do it without issue; it's common sense and part of keeping all children safe at school. Just because I know the vice principal and secretary doesn't mean that the music teacher is going to instantly recognize who I am. They care about the welfare of our child and do not want anyone to get hurt. When I walk around with a visible pass, everyone recognizes that I have been cleared. That is because staff cannot leave anyone wandering school grounds unaccompanied unless that person's criminal records and child abuse registry checks both clear. We strive to learn the internal school policies, such as the processes for kids who are late or absent. We follow the rules and guidelines because we are setting an example. If we expect them to follow the rules set in place to keep our child safe then it's only fair that we follow the rules they set in place to keep all other children safe. Knowing the lay of the land also means knowing who to talk to when we need things addressed. We learned early on that the vice principal is the best person to talk to when we had an issue that needed to be resolved. There is no sense in bombarding the principal with all the issues if he/she is already going to delegate that to the vice principal. People have different roles and functions. It is in our best interest (and our child's) to know who is best at resolving our issues. This is what my late father-in-law used to say about an idea that sounded good in theory but sucked when applied. Of course he also used words like "daft", "gone sideways" and other colourful descriptors that required a PG13 advisory. He was a funny guy though. In my opinion, and from what we've experienced, there is a great divide between what the policy makers envision the school environment to be and the reality of how schools operate. On paper, theories look good and everything can be managed. However, theories do not account for exceptions and are often disconnected from the real world. It's great that the Department of Education and the HRSB instituted a policy about washing hands where kids clean up after recess and lunch. On the other hand, the implementation of this policy falls on the shoulders of the school staff. Have you ever tried to get a couple dozen kids to wash their hands at the same time? How organized and efficient can this process be? Who will supply the soap and paper towels? How much time will it take? Is it going to cut into learning time? These are all things that are not addressed (as far as I know) when those theories are put in place. It's possible that the policy was written when classrooms had 14 kids as opposed to 24. Or it's possible that the person writing the policy does not fully comprehend the dynamics of teaching and classroom activities in an overcrowded school. Either way, the end result is that a good policy can be very difficult to implement. And although it may be our right to demand that the school follow the policy, it is not reasonable to expect the school to turn things around overnight. We're not advocating for kids to stop washing their hands. On the contrary, hand washing is essential to keeping our child safe. But we understood that initially it would take 15 minutes for the entire classroom to wash their hands. However, after a few weeks, they got it down to six minutes. Twenty four kids washing their hands with soap and water in six minutes - that's impressive! If your child is allergic to dairy and you are implementing a hand washing policy in school, do yourself a favour and get permission to go in and see how the policy is implemented. It will give you a chance to see how things happen and you will have an opportunity to modify or address other issues that arise. During the school year, we met a lot of new people. Most of them had not heard about severe allergies (besides peanuts), and did not understand them. This is not unusual, especially if the allergies involved are ones that are commonly mistaken for mere intolerances. If I had a dime for every time I explained the difference between lactose intolerance and a true milk allergy, I would be richer than Donald Trump. Allergy parents are all too familiar with the dangerous assumptions surrounding their child's allergies. And sometimes it becomes extremely frustrating to have to repeat the same thing over and over again. But it is essential to the survival of our child and if I have to repeat it till I'm blue in the face then I will. I am certain that parents of wheat allergic children experience similar situations. Humans love to label things. We like to organize and process information we receive into little categories and place a sticker on it to identify it the way that feels comfortable or makes sense to us. It's easier to identify things like "Vegan", "Gluten-Free", or "Lactose-Free". However, when it comes to IGE mediated allergies, these labels matter and can potentially be responsible for a fatal allergic reaction. Just because something is vegan, does not necessarily mean it is free of allergens. Peanuts and tree nuts are vegan. Similarly, a gluten free treat may not really be wheat free, especially if that item contains wheat starch which has the gluten removed from it but still contains loads of wheat protein. Likewise, lactose-free snacks such as granola bars and yogurt still contain massive amounts of milk protein which can potentially kill our child. It is our responsibility as parents to consistently educate school staff who interact with our daughter on the difference between intolerances and true allergies. The number one golden rule that all school staff understood regardless of what they knew about allergies is that our daughter was NEVER allowed or pressured to eat anything that was not approved by us, the parents, first. There were no ifs, ands or buts about that one. Therefore, whenever school was providing food to the kids, I always took the time to go in and read the label on all the products. If the food wasn't safe, I replaced it with something that is. Better safe than sorry. If there is one thing my husband and I try very hard not to do it's playing the blame game. When something happens, the last thing we want to do is point the finger. This attitude is very unproductive and will get us nowhere. Here, a basic understanding of psychology helps. People get defensive when they are blamed because they feel like they are being attacked. By blaming school staff we may risk alienating the very people who are trying to help us keep our child safe. In addition, playing the blame game shifts attention away from the real issue which is addressing the problem and finding a solution for it. The best way to deal with a problem is head on and start at the bottom. If it's a classroom issue, we talk it over with the teacher. If it's a policy issue we take it up with the administrative staff. Other allergy parents have mentioned that when they hit a dead end with the teacher, they move on to her superiors and if they are not receptive then the parents talk to the school board. Usually issues brought to the attention of the school board are addressed promptly. If the school board cannot resolve the issue, parents can talk to someone at the Department of Education and so on and so forth. Hammering away at the same person especially if they have become non-responsive is ineffective. My mother always told me that I would attract a lot more flies with honey than I would with vinegar. Hence my motto: be cooperative; be polite; be firm and, above all, be respectful. I offer to help out with class activities whenever I can. In fact, when I can help out with other areas in the school such as the library or the class next door, I do so. This gives me a chance to see how things run at school and familiarizes me with the system they have in place. Being visible frequently at school also helps staff remember me which in turn helps them remember my child and her allergies. I think it's essential to be accessible to school staff. My husband and I provide them with a phone number they can call in an emergency where either of us will answer. We do not force them to improvise. We want everything to run according to plan in an emergency. We are available when they ask for our help. If there is an event that is taking place and the teacher seems nervous, I do not roll my eyes or belittle her request. Instead, I alleviate her fears and I'm there with her to boost her confidence. I don't make her feel like my child is a time bomb that could explode at any moment. I understand that she asked for my help for a good reason, not because she is being lazy or incompetent. Most likely she is overworked and has a lot going on and is asking for my help as part of maintaining a safe environment for my child. When I look after my child during an event at school, the teacher can focus on the rest of the class and perform her duties efficiently. I'm not talking about going in for an event every week. I'm talking about events that happen two or three times throughout the entire school year. As an allergy parent we are already used to juggling our schedules to accommodate living with food allergies. The school process is no different. It's something our child is involved in and so it's inevitable that it will take time out of our schedule. It's necessary to make allowances for it and it's part of being prepared. Likewise, school phone calls are never screened, EVER, and voice mail left by school is always returned promptly. My husband and I do not attempt to engage other parents of our daughter's classmates unless they come to us with questions. Also, we determine the nature of the questions before we answer. When it comes to implementing policies in the classroom or school wide, that job is best left to the school's administrative staff. It is not our responsibility to address other parents nor is it appropriate. In most cases it opens the door for arguments as many parents simply assume that we are trying to control everyone else in the classroom and bend them to our will. As parents of kids with special needs we are all too familiar with that stigma. Some allergy parents make it harder on themselves by arguing with other parents. We prefer to leave it up to the principal or vice principal to talk to other parents. They are experts in dealing with parents and explaining when new policies are being put in place. School administrative staff are typically seen as figures of authority. It's a lot easier to accept a new policy when the principal informs the parents as opposed to us trying to convince the parents why the policy is necessary. Throughout the year, we've met parents who are very sympathetic to our cause. Some of them were willing go out of their way to help us. We are thankful and appreciate their efforts. We remember those parents during birthday parties, Christmas and other celebrations. We are kind to their children especially if they are making friends with our child. We are not unreasonable with our demands. We also alert the school staff if we are making connections with some parents, especially positive ones. That way, if the school staff needs to put a group of kids together for a special event, they already know who would be more agreeable to their request. We like to stay away from parents who judge us or think we are yuppie freaks. There are some of those in every school. We keep our distance and do not engage them unless they pose a danger to our child. Do not poke the bear. We try to make friends with parents who have kids with allergies especially if their child has similar allergies to our own and is in her class. There is strength in numbers. I don't mean strength as in fighting a war against the school. I mean strength in the sense that the shared allergens means that now the teacher has two helper parents instead of one. However, there may very well be children with allergies present in the classroom who only share one allergen amongst each other. Sometimes, those parents will let someone else take the reins especially if they feel comfortable with that parent's attitude towards allergies. For example, in our case, there is a little boy in our daughter's class who has a life threatening allergy to peanuts. His parents were more than willing to let me handle food related events for the classroom. It's not that his parents are lazy. On the contrary, they trust my judgement specifically because my daughter's allergy to peanuts is just as severe so they are aware that perhaps aside from them, my husband and I, are the next best people to be determining what is nut free in the classroom. Our desire to protect our child extends to theirs as well. This is not something that will happen in every school. In some cases, parents end up in a game of tug of war. As an allergy parent, we can still be involved but we must keep in mind that the parent with the child who has the most allergies will likely be the one carrying the brunt of the burden. It requires a bit of communication. The mother of the boy I mentioned earlier is comfortable with my experience and skill at determining what is safe for both her son and my daughter. I see this woman frequently and we communicate on an almost daily basis. Her son and my daughter naturally developed some sort of camaraderie. Having allergies and carrying an auto-injector gave them something in common. The mother of the boy is glad that I'm handling the food allergy aspect and stated that I'm doing a great job. She also offered to help if I ever needed it. The point is, unless that parent speaks to me about their child's allergy, it's unwise to assume that I speak on behalf of their child. If your situation is similar, chances are, those parents will be more than happy to have you deal with things because it means less work for them. But there is always a chance that they are not happy with how you handle things. Some may think you are too strict. Others might not trust anyone at all. I'm one of those. My paranoia and past experiences taught me that, besides my husband, I am the only one who can determine what is safe for my daughter to eat, partly because milk is so pervasive nowadays and not everyone is familiar with how to avoid dairy and its derivatives. Do you know what beta-lactoglobulin is? Yeah, it's milk. If there is one golden rule to follow when dealing with allergies in a school setting it's to document everything. It doesn't have to be typed up and notarized by a lawyer. Email is sufficient. In fact, in many cases, email is preferred. It's tempting to pick up the phone and leave a voice mail message because it's faster. But email messages provide a history of communication especially if some parties are joining the conversation midway. It also makes our requests official. However, there will be times when something is urgent enough that we might need addressed right away. When this happens, we follow up with an email to whoever resolved the issue to confirm the conversation, even if just to thank them. A documented request also maintains transparency between all parties. The higher up the ladder you go the more important it is to document your request in the form of an email or letter. Sometimes things happen more efficiently when they are presented as official requests. It's also important to recognize that school staff sometimes take time off for a multitude of reasons such as maternity or sick leave. If one of the parties is on leave, then it's essential to keep that person in the loop by copying them on all emails and other communications so that they are able to continue helping us upon their return. We cc them on emails but do not expect them to respond when they are on leave. In any case, the bigger the request, the more likely it should be documented. I often see allergy parents going into schools with the mindset that our schools need to stop using food in celebrations, that there is too much focus on food, and that childhood obesity rates are increasing therefore food in the classroom just adds to that problem. I agree with all that on principle; I advocate for eating to be healthy and practice this in how I live my life. But I also understand that this type of initiative can only happen on a national level. It's a huge undertaking and one that requires many changes. It's not something a school can easily implement. It's a hard battle to win because food constitutes part of our social framework. We eat to be social and socialize to eat. Hence, it is extremely difficult, for example, to have food free Christmas celebrations. Furthermore, it is difficult to teach children about eating healthy foods if they cannot see or taste that food. Part of health education at school is to learn about the body and nutrition. It would be hard to explain to children what a vegetable is if they cannot touch it or eat it. Activities such as 'harvest soup' and 'friendship salad' are all aspects of learning how to make healthy choices. Food is also a huge part of culture which is factored into social studies. Every nation has a unique cuisine. You might ask why can't my daughter's class have only food free activities? Well, frankly, because I think it's impractical. Many activities can be made food free and this has been done in our daughter's classroom plenty of times. But there are some activities that are about a certain food. Think Halloween and pumpkins or Christmas and gingerbread. It would be cruel to take away an activity from one class that all the other same grade classes are participating in especially when that activity is part of a celebration or special event. That would constitute exclusion. How would the kids feel if Mrs. A's class gets to build gingerbread houses for Christmas, meanwhile Mrs. B's class is only allowed to colour snowflakes. Part of being included in school is to have special holidays accompanied by group activities such as grade primary involved in building gingerbread houses. I can demand that they make the class food free but it will be difficult and will cause unnecessary grief. The best option in my opinion is to get involved in the activity. I'm quite proficient at baking and this makes our life much easier. It's a lot safer to bake a batch of cupcakes for the entire class than it is to have the teacher buy food that may turn out to be unsafe for our child. Usually, I offer to buy the ingredients and bake the food myself to ensure it is safe. That way, everyone is happy, and our child's safety is not in question. I know some allergy parents who prefer to find a good recipe book that tailors to their family's allergies and use it to bake for the classroom. This is a great option for the novice baker. I'm sure there are many ways to make celebrations food free, but in our home, food and holidays come together, and so I'd rather make the food safe than remove it altogether. One of the valuable and enlightening lessons I learned this year is that children are keen observers. In fact, they are not only smart but inquisitive as well. I would not want to underestimate the power of children. They are far more meticulous than their parents when it comes to the details. They learn very quickly who is different in the class and why. My husband and I never went in class and gave a speech about allergies. We never held any sessions or publicly announced our daughter's condition. We felt it would be bordering on invasion of privacy and would be detrimental to her social development had we singled her out in that way at the beginning of the year. Instead, I bought a handful of age appropriate books about food allergies and gave those to the teacher so that she could read them in class. This way, the kids get introduced to allergies in an educational way - a way that does not make our daughter a target. Children are often very protective of their peers. I recall one incident that happened in the school pod area where a classmate's lunch leaked inside her bag and all over the floor. The item that leaked was a milk container. Although I wasn't there at the time, I was told by the teachers that it was our daughter's classmates that immediately took action. Some of them notified the teacher while the others looked for our daughter and made sure to keep her away from the milk until it was cleaned up. In our daughter's class, all her classmates now know that she is allergic to some foods and that recess and lunch happen differently for her. They realized early on that she does not eat recess with the rest of the class. This is something we've discussed with the administrative staff and teacher extensively. We knew that it would be incredibly difficult to prevent cross contamination at the recess table and felt that it would be a dangerous situation for our daughter. Therefore, we decided that it would be best for her to eat recess in the classroom. At first, she was alone but then we discussed the possibility of having her moved to the cafeteria since it would be empty during recess time, and that a staff member can wipe just the little corner that our daughter uses to eat. The teacher was on board, and to keep our daughter from being isolated, one of her classmates was sent with her to the cafeteria for them to eat there. There are no specific individuals and no notes were sent to the parents. Instead of involving more people and possibly making a situation more complicated than it needs to be, the teacher suggested that when the kids take out their recess, she can simply choose one of the students who had a safe snack for that day. She chose to limit her selection to only those who had fruit. But I say not to underestimate kids because I learned from parents that their children dictate what they want for recess. I've had several parents come up to me to ask what would be safe for my daughter so that they can put it in their child's lunch box because their child asked them NOT to put milk products otherwise they cannot sit with our daughter during recess. Although the parents are not knowledgeable about allergies, their child drove them to inquire. How about that for awareness? Although school staff do their best to include all children in each activity, there are times when our daughter is not ready. When we initially talked to the school administrative staff and teacher about including our daughter in recess, we tried to figure out ways to have her sit at the table but away from kids who were eating unsafe foods. Space was extremely limited and it was difficult to find a way to make it safe. In the midst of all that we had neglected to actually ask our daughter what she felt comfortable with. We didn't realize it until she overheard a conversation I was having with my husband about the possibility of having a buffer zone where there is an empty seat on either side of her. She interrupted my conversation with a panic and said that she will not sit at the table with the other kids. She was very adamant about not getting exposed. She then promptly stated that she would rather not eat recess at all or stay in the classroom all by herself. At that point, the conversation ended. She had made a decision and expressed her fears. It would have been very unwise of us to dismiss her concerns. We strive to teach her about her allergies, to be aware of her surroundings and what can pose a risk to her. She sets the pace because she is the one who's allergic. It's her comfort zone that matters, not ours. Having her sit at recess next to other kids eating unsafe foods and being apprehensive and anxious defeats the purpose of having her feel included. It would not be a pleasant experience for her to say the least. Therefore, that option was abandoned and I informed school staff that we would have to come up with an alternative. 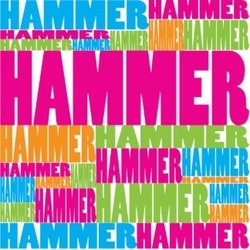 What colour is the hammer? I have previously mentioned on this blog that some of the most demanding allergy parents I've met were the ones whose children are allergic to peanuts only. I will not belittle the plight of any food allergy parent, however, I would like to shed light on why I think those parents sometimes come across as offenders. Please note that I am not saying that ALL peanut allergy parents are difficult. I'm simply saying that many of the ones I've met locally are not easy to get along with and those are the ones I'm referring to here in this post. Peanut allergy has been in the spotlight for a lot longer than other food allergies so naturally there is more awareness about it. There are many manufacturers now that cater in peanut free goods. Schools are often labelled as nut free or nut aware. Other parents hear about children with nut allergies and are urged by school staff to keep that in mind when they send food with their own kids. And so for many peanut allergic families, half the work has already been done for them when it comes to peanuts in HRSB schools. They have been fortunate (under the circumstances) in that peanut allergy enjoys very good public awareness especially among government agencies and food manufacturers. In other words, peanut allergic families do not have to start from scratch to incorporate a policy to keep their child safe in the presence of peanuts. In their case, often the solution chosen by them and third parties is to ban peanuts as opposed to implement a class-wide hand washing practice to prevent exposure. From their perspective, this is the best solution. So when we come along and simply mention that our child is allergic to dairy and eggs in addition to peanuts, they automatically assume that we are expecting the school to ban dairy and eggs as well. Many peanut allergic families are not familiar with the approach of dealing with food allergies in the presence of an allergen - not the way a milk allergy parent does, or wheat or soy allergy parent. Perhaps my view of peanut allergy parents is flavoured by negative experiences from dealing with daycare. And it didn't help when one of those parents requested that my daughter be put in a different class than her daughter so that her little girl can get full attention in case of an emergency because my daughter's allergies are to milk and egg "which are not like peanut allergy and not very severe". (Fun times, I tell ya!) The peanut allergy parents (the ones I've met locally) often think that the only way to keep our child safe is to ban the allergen. That is certainly an option, but a very impractical one, in my opinion. But to make matters worse, some of those parents often believe that peanut allergy is special, that if one has a peanut allergy, that it is the most severe and the one that will kill faster than any other allergy. That is simply untrue. Our little girl is a prime example. Her peanut allergy is deadly. But so are her egg and dairy allergies. She is more sensitive to smaller amounts of milk than peanut protein. How about that for a twist? Any allergen is potentially fatal to the person allergic to it. Anaphylaxis does not discriminate between allergens whether it's caused by peanut dust, a drop of milk or cracker crumbs. It's the degree of sensitivity to the allergen that's important, not the allergen itself. After all, it's how hard you swing the hammer, not the colour of the hammer that drives the nail. Many of the peanut allergy parents I met locally, expect and demand that peanut allergies be treated differently. It's discriminatory and ironic to say the least. That being said, some of the best and most sympathetic allergy parents I've come across were ones whose child had only a peanut allergy. I'm not saying that every peanut allergy parent is prejudiced, however, my advice is to tread lightly around peanut allergy parents until you know more about them. Some of them are very reasonable people, but others are not. In fact, some of them have done wonders for the allergy community and their contributions have benefited many. Banning allergens sets a very bad precedent. Even worse is when establishments claim that they are "nut free", without understanding the implications and ramifications of what that means. I am against banning allergens for multiple reasons. First, it creates a false sense of security. Unless the school has security checks and professionally trained dogs at every entry, there is no guarantee that the school will be entirely "nut free". Second, it is unrealistic to expect staff to enforce a school wide ban on peanuts. It's not even possible to keep track of something like that. Third, it is grossly unfair to ban one allergen under the pretense that it is a more dangerous one. Any allergen is dangerous to the person who is allergic to it. I often hear the following argument: well, yes we will ban peanuts and nuts but where do we draw the line. I think there should be no line to begin with. We make staff aware about our child's allergens. We educate them about anaphylaxis and work with the school to keep our child safe. However, shaping everyone else's meals and expecting them to follow our demands is not only unrealistic but creates a lot of unnecessary hostility. It's much more reasonable to go into school with the expectation that a process needs to be put in place to protect our child from allergens while learning. This will foster a team oriented approach. Our goal is to have people cooperate because they want to not because they have to. We've heard mixed things about Parent Teacher Associations (aka PTA). Before we embarked on this school journey, many allergy parents urged us to stay away from PTAs. We were told that PTAs in many schools are hostile towards allergy parents and refuse to cooperate in most situations that involve food. We've also heard positive things about PTA but only from parents who do not have kids with allergies. I am not sure what this means but my experience with PTA is limited. I am not involved with them at my daughter's school and do not attend any meetings. I chose to heed the advice of other allergy parents. School was a very unfamiliar territory for me and I was not sure I wanted to take on more than I could handle. The little I know about the PTA in my daughter's school is that they are involved in a lot of activities and events. They do tremendous work to help the school. When it comes to allergies, I've only had one experience with the PTA, which involved the annual popcorn sale to students as a fundraising activity. There was a possibility that the popcorn flavouring may contain dairy and would pose a risk to our daughter because it is consumed on school property. Neither my husband nor I ever spoke to the Chair of the PTA, but she communicated to the vice principal that if the popcorn flavouring was unsafe that they would look at other options to buy safe popcorn. Luckily, after doing some research, we discovered that the popcorn was indeed dairy, egg and nut free. Although I've never spoken to the Chair, I'm inclined to believe that she was sympathetic and agreeable given that she was willing to accommodate our situation. Similarly, my experience with the Student Advisory Council (aka SAC) is limited to the morning and afternoon greetings between the SAC Chair and myself. I cannot give you a whole lot of advice about PTA and SAC but from what I've seen in my daughter's school they seem to be reasonable and understanding folks. Perhaps next year I might get more involved with them and would be able to give you a more accurate read of my experience with those organizations. I've heard so much negative about such organizations that I would relish the opportunity to shed light on the positive things about them. One of the most common yet unspoken rules between allergy parents is maintaining a united front. Arguments, discussions and disagreements typically take place behind closed doors, in the home, and away from school staff. Parents arguing or disagreeing about issues in the presence of school staff is not only damaging to the parents' credibility but also nerve racking to school personnel. The only side the school is interested in is the safety of our child. Therefore, they are not equipped to handle those confrontations nor should they have to. My husband and I usually discuss issues at home and come up with possible solutions or alternative ways to work with the school. We present to the school only the solutions we agree on. This also includes that both my husband and I are in the loop and on the same page about all issues related to school. He sends the same message I send and vice versa. It's important to recognize that allergy parents in general are under a lot of stress. To an allergy parent, especially one who is dealing with multiple food allergies, sending their child to school is literally the equivalent of sending them into a field of landmines. Any event involving food can rapidly turn into a hazardous situation. Many allergy parents think of their child's allergens as deadly weapons. To them, it's like sending their child to a school where weapons are readily available and the use of them is even encouraged. It's terrifying. At the start of the school year, we met with administrative staff and the teacher, and we made them aware of those fears. We provided that perspective for them so they are better able to put themselves in our shoes. They were very understanding. The stress of caring for an allergic child greatly affects parents. It also affects school staff. It's not impossible to keep allergic children safe, but it's a very difficult job. School staff understand that just as they sometimes can have bad days, allergy parents do as well. There are times when things are just not going well and my stress level is high. When I am stressed, I prefer to ask my husband for help in communicating with the school. This is extra padding to help against the blow up factor. No one wants to be in a volatile situation. We all have limits and sometimes people will say things that they do not mean. Sometimes even when they mean those things, they do not intend for them to make their way to us the parents. Segmenting can be a highly effective method in resolving issues but it only works when people are able to segment. Under stress or distraction, that skill is diminished. My husband and I have been on the giving and receiving end of such situations. What we do is usually address the issue right away so that it doesn't fester and cause hostility. Also, we simply let it slide. It's okay for someone to get upset or frustrated but it's not okay for them to dump it on others. In a perfect world, nobody gets stressed. But we are not in a perfect world and we are all human (most days). Sometimes, a school staff member will say something inappropriate. It's best to take a step back, think about it and then respond. Often, an apology follows quickly. It's usually best to be civil. By giving them the benefit of the doubt and a little bit of leeway, staff is inclined to afford me the same courtesy if I'm having a bad day myself. If everybody was a ray of sunshine all the time we'd all be burnt to a crisp.